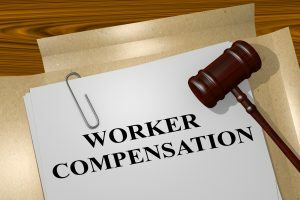 If you’ve been injured on the job or suffer a work-related illness, you might be entitled to worker’s compensation benefits. Unfortunately, insurance companies and employers often don’t allow workers comp claims, even when you’re clearly in the right. This leaves vulnerable employees at the mercy of a complicated system of appeals. Compensation lawyers will give you a much higher chance of getting the benefits you deserve. They will talk with the worker’s comp insurer as your representative, get evidence to back up your claims, and negotiate a solid settlement. The lawyers working for your employers and the insurance companies are not working in your best interest. They won’t think twice about rejecting your claim under suspicious circumstances. However, there are a few things compensation lawyers can do to help be successful. Lack of medical evidence is often the most common reason why workers comp claims don’t go through. Even when the claim is approved, you’ll more likely get all the medical treatment required and all the benefits you’re after if you have strong evidence. Compensation lawyers can help with that. Compensation lawyers will get it and examine the strengths and weakness of the overall case. He/she will figure out where the evidence needs to be to get you the best outcome. At the time of the negotiation with your employer’s insurance company, it’ll be time to go for a settlement. Compensation lawyers get the different tactics the insurance companies use from fake final offers to low-ball offers. There are a couple of exceptions, but compensation lawyers will often engage in helpful negotiations with insurers to solve things out. Your attorney can also make sure that your settlement agreement isn’t badly written in order to avoid problems in the future. 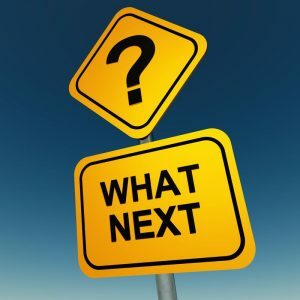 For example, if you’re getting or applying for Social Security benefits, a poorly written settlement agreement could cost you hundreds in benefits for many months because of the worker’s compensation offset. An experienced attorney could also help you create a possible estimate of your future medical costs so that the settlement agreement can make the account. It’s true that workers comp judges are supposed to approve all settlements. However, it wouldn’t be smart to rely on the judge to get you the best deal. Compensation lawyers are key to getting the benefits you deserve. If a settlement isn’t possible, your case goes to an administrative hearing or trial before arriving at a workers comp hearing. Once the investigation process begins aka the discovery, your compensation lawyer will take a deposition of the witnesses, request all medical records, conduct legal research and write pleadings. Pleadings are petitions, responses, and motions to the insurance company. Check to make sure everything is submitted on schedule. Once the hearing begins, your compensation lawyer will present a theory on the case aka why you are entitled to benefits to the judge. Opening and closing arguments will be shared, witnesses will be examined, and objections raised when the insurance tries to do anything underhanded. If at the end of the trial your not happy with your results, your attorney can start the process of appealing your decision. Along with workers comp, you might have a personal injury against a third party. A person, not an employee’s carelessness caused or could have made your injury worst. Manufacturers and drivers of faulty tools are usually targets of third-party suits. A personal injury claim could be more useful than a worker’s comp claim in that circumstance. The reason being the damages can include suffering and pain and loss of earning potential. Learn more about the proper time and place to sue outside of worker’s comp. A lawyer can also talk to you about the possibility of getting other benefits, such as vocational rehabilitation assistance and long-term disability insurance benefits. He/she can also help you obtain social security disability, state short-term disability, and wage reimbursement. Are Compensation Lawyers Worth the Cost? Compensation lawyers don’t charge per hour like many freelancer professions do. Instead, they go with the contingency fee: a certain amount of the worker’s comp benefits your win in the case. A lot of states put caps on what attorneys can receive. It’s different depending on the state, but 15 percent to 25 percent is the norm. Though in some states, the fee can be as low as 10 percent and as high as 33 percent. Odds are strong that you’ll get more money and benefits back if you rely on a compensation lawyer. Going it alone means you could miss out on a truckload of benefits that a lawyer would have known about. They know the law, understand how to negotiate and use lots of different tools to build a compelling case for you. 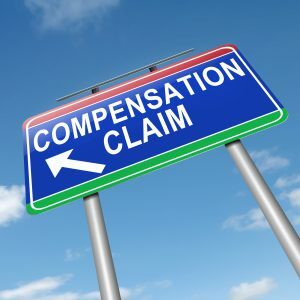 Because of this, even with the compensation lawyer taking some of your winning benefits, you’ll still get more in the end with a proper compensation lawyer. Ready to hire an expert to help you get the benefits you deserve? Contact us today and let us know what you need!